Many assume that IT security and cybersecurity are alternating terms for security on electronic devices. Others believe that they cannot work as separate beings and if they are not combined then they will become useless. Though IT security and cybersecurity do share similarities and create maximum protection when combined, there are key differences that distinguish the two. IT security can also be referred to as information security or data security. IT security is utilised with the intention of ensuring the protection and safety of all information that is created for and available to an organisation. This process of security is inclusive of all electronics as well as physical data. IT security enables processes and procedures to be in place for the sake of keeping all information protected. This should prevent unauthorised access, misuse, destruction and disruption of data. The main purpose of IT security is to ensure that information remains to be confidential, of high integrity and accessibility. This is imperative for ensuring that the quality of information is not tarnished. IT security should also ensure that personal or valuable information stays confidential at all times and is only accessible to those who are authorised to do so. IT security merges a variety of forms of technology and methods to keep all information and information systems protected. Physical data tends to be easier to protect, as they can be locked away in filing cabinets, but electronic data is in need of much greater protection. This can include passwords that can unlock specific files. This ensures all personnel use password protection for all electronic decides as well as ascertaining secure individual and company networks. Practices of IT security enable data protection while ensuring the quality and integrity of the information. Combining security measures for information and information systems decreases the risk of confidential information being misused or refused access to. The main purpose of cybersecurity is to keep electronic data protected from unauthorised access that has been gained through cyberspace. Unauthorised access can be referred to as cyber-attacks. They are any form of unauthorised access to a company’s data that ruins the integrity of the data. 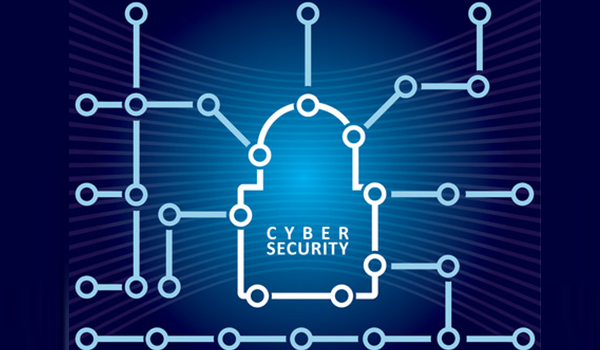 Cybersecurity security ensures that all information that is vulnerable, valuable or confidential cannot be downloaded, shared or used by an unknown third party. Cybersecurity is designed to limit and prevent threats and attacks from unauthorised access to a company’s information. This enables the necessary safety measures to be put in place to ensure the safety of all electronic data. Cyber threats exceed securing valuable data. They can sway operations, deter actions and have control over networks. Data hacking or data corruption can have a huge impact on the quality of data. What’s more, it can be extremely expensive and time-consuming to amend. You also need to consider the risks of what is achievable for third parties when they get hold of this information, especially if it is financial or extremely confidential. Hacking and unauthorised access to networks can occur for many reasons. Cyber threats can include things such as downloading files from websites or apps that contain viruses, having weak or easy to guess passwords, and keeping data stored in one place without backups. IT security and cybersecurity go hand in hand. They both play essential roles in keeping the information of your company protected. You should incorporate both security systems into your organisation to ensure that all channels are secure and protected against any threat, corruption or misuse. Both IT security and cybersecurity must be embraced as a daily business issue for organisations to truly develop and stay as protected as possible. It is always worth conducting a security risk assessment to identify potential cyber threats to your organisation. Best practice IT security and cybersecurity will keep your business and personal information protected. It will also create a safe space for your employees to work in as efficiently as possible. and will inspire confidence in your business among your customers. Join our Enterprise Cyber Security conference where we bring together hundreds of cybersecurity and InfoSec specialists from the public and private sector. Join us as we discuss how these specialists are deploying advanced security strategies, tools and techniques to better manage emerging risks and vulnerabilities.